An astronaut on the International Space Station made a technical error on Christmas Eve — but it was nothing a quick tweet couldn't fix. "I'd like to apologise to the lady I just called by mistake," astronaut Tim Peake wrote on Thursday. Apparently Peake had opened the call by greeting the person on the other line by saying: "Hello, is this planet Earth?" Little did the woman who answered the phone know, the question was literal and "not a prank call...just a wrong number," Peake wrote. The astronaut did not say who he meant to call on Christmas Eve. According to Peake's European Space Agency profile, the 43-year-old is married with two sons. Peake is also the first British ESA astronaut to visit the Space Station, the profile said. 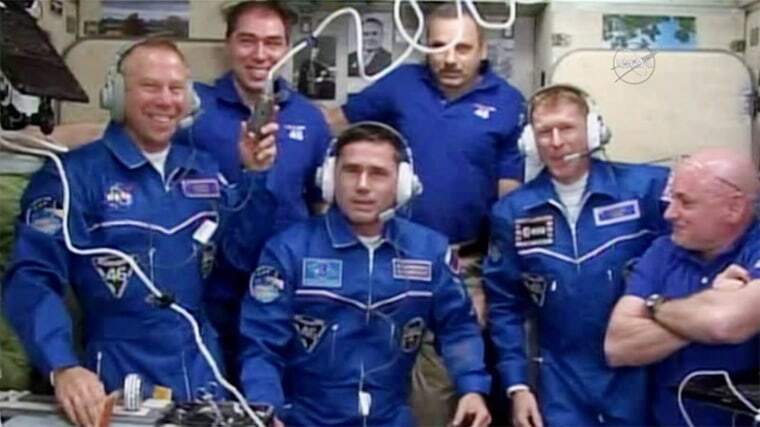 Peake is among a crew of six men currently based at the space station. Commander Scott Kelly also wished holiday wishes from the space station, where he marked his 273rd day on Christmas.